All other wetted parts are either carbon steel or 316 stainless steel. Stators are available in many elastomer materials such as buna, natural rubber, epdm and viton® depending upon the thickened coatings or flow mediums you with pumped. The standard slurry-pump gland seal design is a set of gland packing with a Lantern Ring and flush connectors. Slurry Pump mechanical seal options are readily available*. 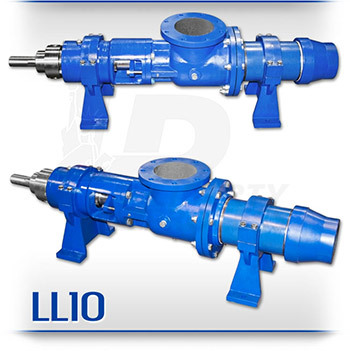 The Liberty LL10 Progressive Cavity Pump parts are direct aftermarket replacements that work with the Moyno® L10, Tarby® TL10 and Continental® CL10 models* and represents one of the most popular choices in progressive cavity pumps available today.